Here at New Wind we have talked with numerous business owners who are stuck in a bad contract for their website and/or marketing. Contracts that cost a lot of money for services that are mediocre at best. We’ve seen some of the worst contracts from large national corporations (Nationals)* that focus their “services” on small businesses. They claim that they will do it all for you- that you needn’t bother taking precious time trying to get a website and marketing going. However, in the end, that business owner was stuck with a site that was very generic, poor performing, and uninspiring. The marketing offered was costly and not specific to that particular industry/ community/ client. You can do much better than these business owners. Don’t follow in their footsteps. Instead, ask the tough questions up front and insist on getting answers. Don’t sign until you know things like total set-up costs, total ongoing costs, and who is in control of it all. Keep reading for a list of Top 10 Questions to Ask. This is your business. Don’t let some other company take over. Would you ever hand the keys to your physical business to some stranger? If not, then why would you hand over the keys to your Online Presence to a stranger? That’s what happens with many contracts from national companies that provide website design and marketing services. Too many of them will demand a lengthy commitment to what ends up being a very mediocre product. Learn the facts and avoid the pain. 1. Who controls your domain name? Some Nationals will register (in their own name) a website domain for you. This should be a deal killer for any business owner because it means that they control the website domain, not you. When you finally decide to leave their services, you might be able to buy the domain name from them (for a steep price), but there is no guarantee that they’ll sell it. You might have to create a whole new domain name for your business. 2. Who owns your website? Some Nationals will claim ownership to all the content on your website, even if you are the one who provided the photos or text. If so, then when you finally leave their services, you lose all of that and have to start over from scratch. You’ll walk away with your domain name but nothing else. 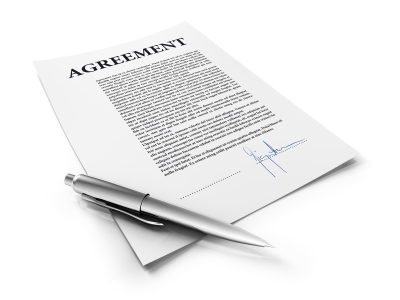 Make sure the contract states that you retain ownership to all the content. Otherwise, they will keep it. 3. How long is the time commitment with this contract? Many Nationals require at least a one year commitment, with some implementing automatic contract renewals unless you actively opt-out within the prescribed window. At New Wind, most of our services are for a one-time fee. Some of our ongoing services require a 90-day commitment, but after that you can cancel anytime you want. Before you sign, make sure you know how long you will have to stay in the contract- just in case it doesn’t work out. 4. Can you edit your own website content? Will you be able to easily update or alter the information on your website? Many Nationals will not give you administrative access to your own website, forcing you to go through them to make any changes. At New Wind, we give you full access even if you hire us to manage your website. Should we part ways, we give you all the passwords so that you can take over. 5. Whose phone number will be listed on the website, online listings, and/or marketing material? Some Nationals will create a new phone number for your business (or insist that you transfer your current number to them), claiming that they need to control that number so that they can track the effectiveness of their marketing and to provide you a log of all lead calls. This tracking can be somewhat helpful, but we believe it’s not worth losing your phone number over. When you finally decide to leave that National service, you’ll be leaving the phone number that everyone knows. They might sell it back to you (at a steep price) or they might redirect that phone number somewhere else entirely. Do you want to risk that? 6. Who controls your online presence at places like Google Business and Facebook? If you hire a National to manage your business listings and/or social media presence, be sure they give you administrative access to those sites. Otherwise, you might be forced to abandon everything when you decide to discontinue their services. 7. Do they understand marketing in your area? Most Nationals will offer Facebook ads or Google ads because they can do that without really understanding your specific market. At New Wind, we take the time to understand you and your goals, and we offer help finding the right mix of marketing that is cost-effective and gets the best ROI for you. We’ll even propose direct mail or print ads, if they are right for you. Those Nationals have a marketing team that is on the other side of the country (or in some other country), so they don’t understand the local market. We do. 8. Who writes the text that appears on your website or ads? Most Nationals will offer to write the text, but it will usually be a bland, generic text that could apply to any similar business. Their service is the sort of cookie-cutter, fill-in-the-blank text that’s boring and un-informing. In addition, they often will claim control of that text, not allowing you to use it should you decide to leave their services. At New Wind, we include text writing in our services, and that writing is done by a published author who customizes it to your particular business. That text is custom to your business and it belongs to you. Why choose bland when you can get something beautiful? 9. Will they actively market your business? Every National offers some type of marketing plan, but often it is nothing more than setting up your Google Business profile and then directing that traffic through their own site. Google offers business listings for free but Nationals will charge you a monthly fee to “maintain” it. This is NOT active marketing. Some Nationals will even claim special or exclusive relationships with Facebook or Google. If they claim that, ask them to prove it in writing because it’s probably not what you think it is. 10. How much will they customize? And at what price? Nationals make their money on volume. They seek to attract lots of small business clients and sell them a template for their industry. Own a construction company? Great- here are your 5 options to pick from. Own a dental office? Wonderful- here are your 4 options. The more they can automate it, the better. If they offer customization, it will usually cost much more than the original low price they quoted. At New Wind, our prices include customization of your website to your specific needs and wants. Nationals can’t do that when they have to generate hundreds of sites all over the world, at least not at the prices they advertise. Make sure that the product their offering is what you really want. Make an overpriced, cookie-cutter website works for you. For most, it would be a disappointment. That’s why we created this list- to warn prospective clients so that they can avoid getting a bland site with a lengthy contract. Expect more. Talk to us. * We purposely do not list the names of the various Nationals in this post because they have a tendency to change names as they merge with other national corporations or change names as they create new brands for the same type of services. We feel it is more important to educate others about these general business practices and how they can hurt your business.